Note: It took me a couple refreshes to get the page. 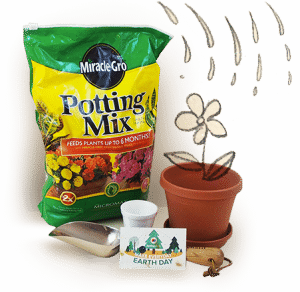 Click here to visit the Day 2 Day Printing site, scroll all the way down, and click “Get This Card Set For Free.” Register or login and then on the next pages, go through checkout to request your plantable earth day cards. It should be free with free shipping.